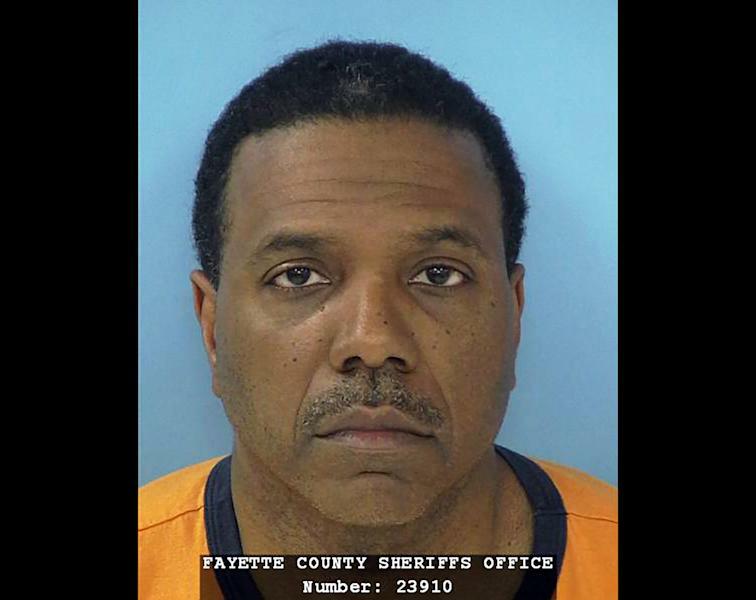 ATLANTA (AP) — The 15-year-old daughter of megachurch pastor Creflo Dollar told authorities her father choked and punched her, and hit her with his shoe during an argument over whether she could go to a party, according to a police report. Dollar's 19-year-old daughter corroborated most of her sister's story, but Dollar disputed it, telling a sheriff's deputy he was trying to restrain her when she became disrespectful. When she began to hit back, he wrestled her to the floor and spanked her, according to the police report. Dollar is one of the most prominent African-American preachers based around Atlanta. His World Changers Church International has 30,000 members in the Atlanta area, and the ministry has satellite churches across the U.S.
Dollar faces misdemeanor charges of simple battery and cruelty to children. He has been released from jail and his lawyer said he was expected to preach Sunday. Dollar said in a statement Friday he loved his children and would never hurt them. Around 1 a.m. Friday, his 15-year-old daughter called 911. She told a Fayette County sheriff's deputy that she and her father argued when he said she couldn't go to a party Saturday night, according to the report. She went into the kitchen with her older sister. When her father asked why she was crying, she told him, "I do not want to talk right now," the report said. Her father charged at her, put his hands around her throat, began to punch her and started hitting her with his shoe, she told the deputy. The deputy noted a scratch on her neck. Dollar told the deputy he wouldn't let his daughter go to the party because of poor grades. The deputy also interviewed Dollar's 19-year-old daughter, who said her father grabbed the younger girl's shoulders and slapped her in the face and choked her for about five seconds. She said her sister tried to break free, but did not fight back. When her father threw the 15-year-old on the floor, the older girl ran to get her mother. The deputy also spoke to Dollar's wife, Taffi, who said she did not see the fight. After interviewing Dollar and the two girls, the deputy asked for written statements. The older daughter initially wrote a statement that contradicted what she had told the deputy and was more in line with what Dollar said. When the deputy confronted her about the discrepancies, she told him it was because her parents were with her. Later, when separated from her parents, she wrote what she initially told him. The 50-year-old Dollar leads the Creflo Dollar Ministries and is the pastor for World Changers Church International in the Atlanta suburb of College Park. World Changers Church-New York hosts over 6,000 worshippers each week. Satellite churches are also in Los Angeles, Indianapolis, Washington, Cleveland, Dallas and Houston. He and his wife, a co-pastor at the church, have five children, according to the church's website. Dollar is a native of College Park and says he received a vision for the church in 1986. He held the first service in front of eight people in an elementary school cafeteria. His ministry grew quickly and the church moved into its present location, an 8,500-seat sanctuary, on Dec. 24, 1995. Dollar said in a 2007 interview with The Associated Press that he renounced his church salary, and his income only comes from personal investments, including a real estate residential property business and horse breeding company called Dollar Ranch. He's also published more than 30 books, focusing mostly on family and life issues, including debt management. He said he also sometimes got up to $100,000 for a single appearance on his packed schedule of speaking engagements. 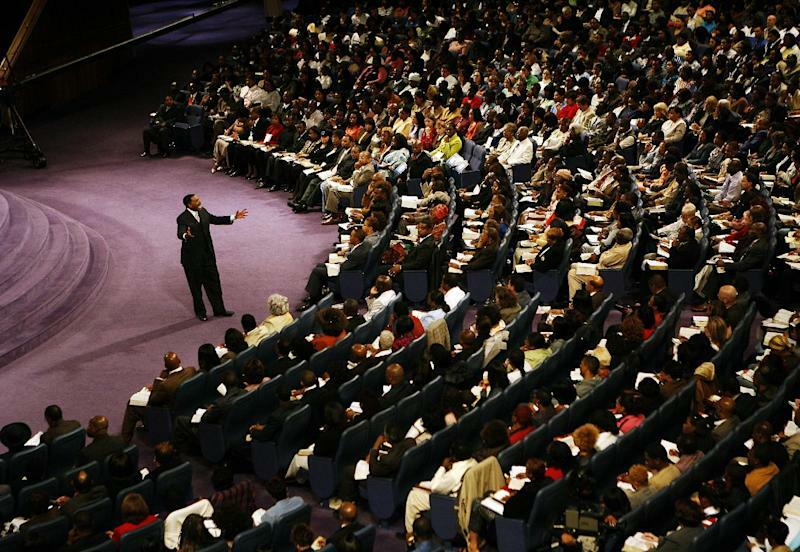 Along with Bishop Eddie Long, Dollar is one of the most prominent African-American preachers based around Atlanta who have built successful ministries on the prosperity gospel, which teaches that God wants to bless the faithful with earthly riches. Ministers in this tradition often hold up their own wealth as evidence that the teaching works. Long and Dollar were among six televangelists investigated by Iowa U.S. Sen. Chuck Grassley from 2007 to 2010, following questions about personal use of church-owned airplanes, luxury homes and credit cards by megachurch pastors and their families. The report did not find any definitive wrongdoing, but it expressed concern about the lack of financial oversight at such large ministries. Associated Press writer Jonathan Landrum Jr. contributed to this report.